Born 1911, Annandale, New South Wales. Died 1946, Sydney, New South Wales. Eric Wilson was one of the Sydney Modernists and a key figure in the dissemination of cubist ideas and methods in Sydney during the early 1940s. A painter of landscapes, city scenes, everyday objects and the human figure, Wilson was brought up in Liverpool and studied at the Julian Ashton Art School in Sydney during the 1920s. 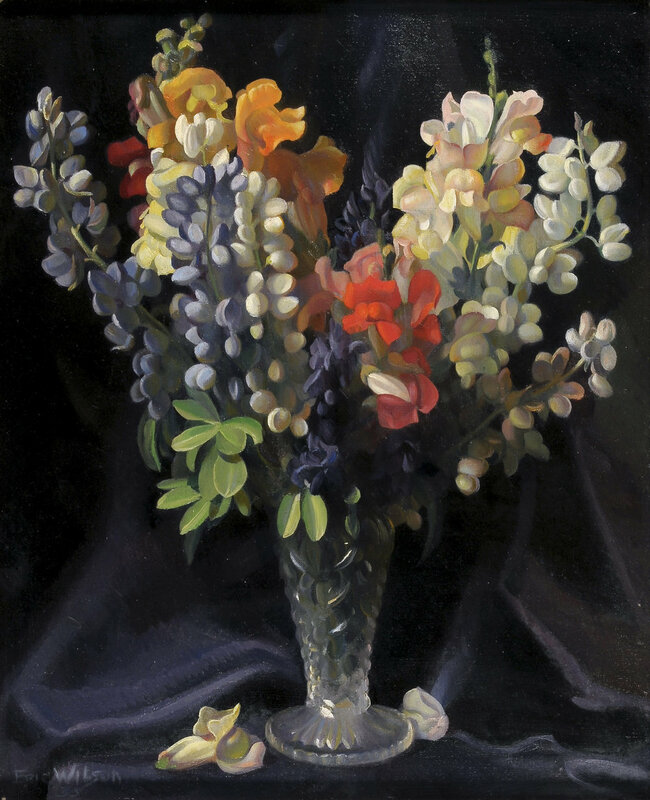 His early works, including Lupins and Snapdragons from 1935, were naturalistic and demonstrate his classical training. In 1937 Wilson won the NSW Travelling Art Scholarship, travelling to Britain and Europe to further his training and where he absorbed key modernist ideas. In London, Wilson studied at the Royal Academy School and Westminster School of Art and shared rooms with fellow artist William Dobell. He encountered the works of Braque, Derain and Rouault, and returned in 1939 to influence both figurative painters and the emerging practitioners of abstraction in Australia and began teaching abstract painting at East Sydney Technical College (now the National Art School). 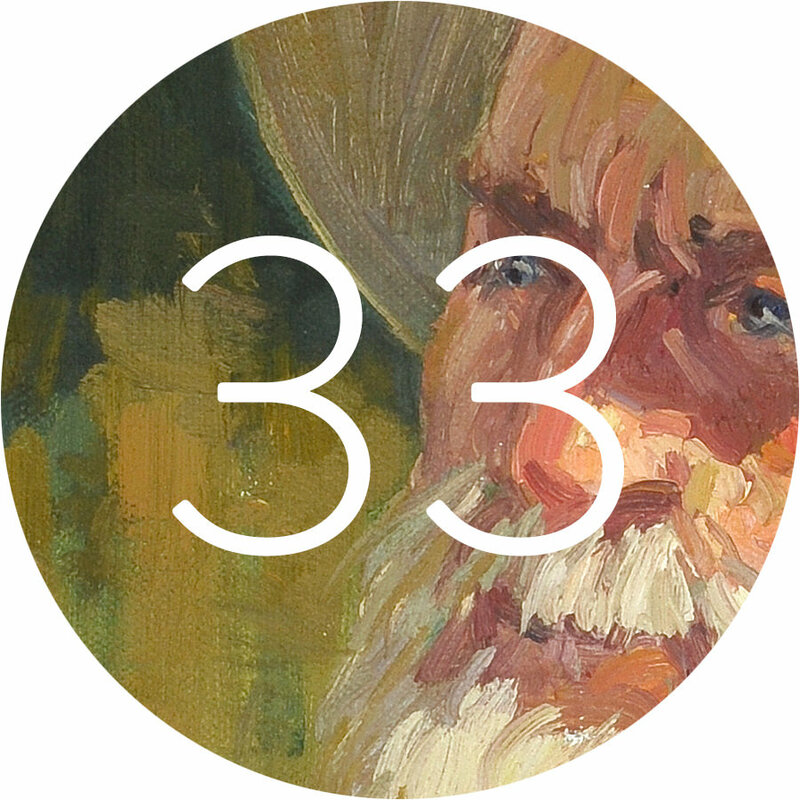 Wilson was a conscientious objector to the war and instead, worked as a ward attendant at Lidcombe State Hospital from 1942 to 1944 and produced a substantial body of work based on this experience. He married fellow artist Jean Appleton in 1943. Wilson died suddenly from cancer in 1946.